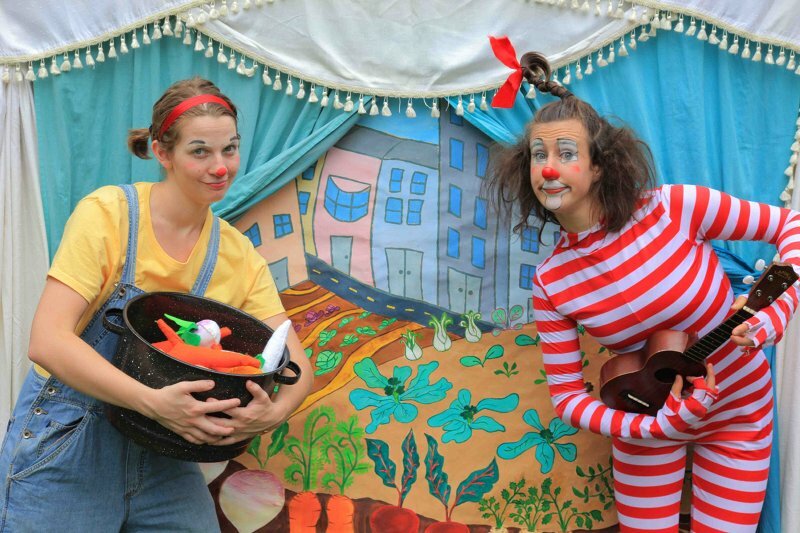 Vegetable Party is and Educational clown show that teaches children important lessons about healthy eating habits. The show employs comedy, songs, and games to stimulate all of the children's senses to fuse a message of healthy eating for a lasting effect. Vegetable Party is a half hour of musical fun with food. The show follows two clowns making a stew, while an evil junk-food genius tries to ruin their plans. With slapstick inspired by vaudeville and the classic era of cartoons, this show celebrates the glories of food. "I very much enjoyed watching Vegetable Party... The kids were rapt and there was no question about the message as they chanted “NO JUNK FOOD” to help Pepito resist Blinky Winky’s tempting treats. We are so appreciative of the creative and beautiful work your artists are doing..."